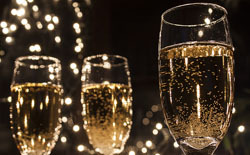 With New Year’s Eve right around the corner, we thought we’d highlight a few local restaurants that are hosting special New Year’s Eve events and dinners in Manhattan Beach. Being in Manhattan Beach, we have the privilege of being surrounded by some incredible restaurants that have gained not only local notoriety but national attention as well. It’s exciting to see some of our favorite restaurants on the list! Circa, Roaring Twenties New Year’s Eve Party – Circa in Manhattan Beach will be hosting a special dinner to help ring in the New Year. Dinner is from 6pm – 12am. There will be a DJ and a dance floor until 2am. 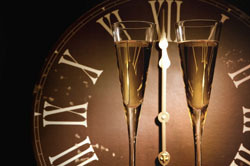 The theme is Roaring Twenties so be prepared to be whisked away to a different era as you celebrate the new year. Each ticket includes party favors and a champagne toast as well. Fishing With Dynamite – We don’t think there’s a local around that hasn’t heard of this wonderful new restaurant that boasts a delicious menu. Their New Year’s Eve menu is poised to serve filet of beef tenderloin, main lobster dumpling pie and British Columbia honey mussels among several other dishes. Be sure to call beforehand! Manhattan Beach Post – They’ll have a special menu with saffron risotto, lamb shank, blue crab, Mexican shrimp and main lobster tail to name a few. With its popularity among locals and the endless buzz that has surrounded MB Post, we’re sure the place will be packed. Don’t forget to make your reservations early before seats fill up for the night. The Strand House – With a four-course dinner menu that includes almond wood grilled quail, kampachi crudo and delicious chocolate mousse bombe in addition to your choice of a NY Strip or John Dory main course, the Strand House has really outdone themselves. With an optional wine pairing for every reservation, seats are sure to fill up quickly. You can view the entire menu to get a better idea of what they’ll be offering. Which restaurant are you planning on making reservations to? Do you know of any others that may have not made our list? Be sure to let us know in the comments below so others can hear about it too!